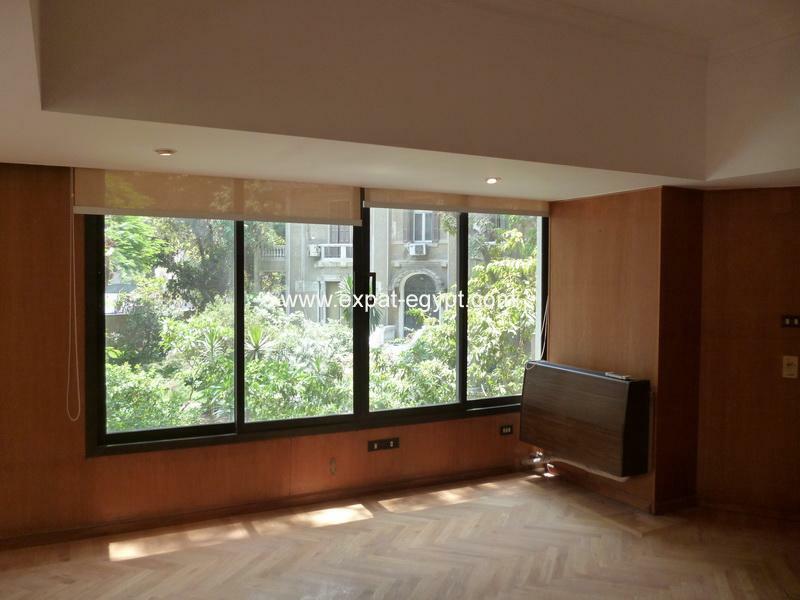 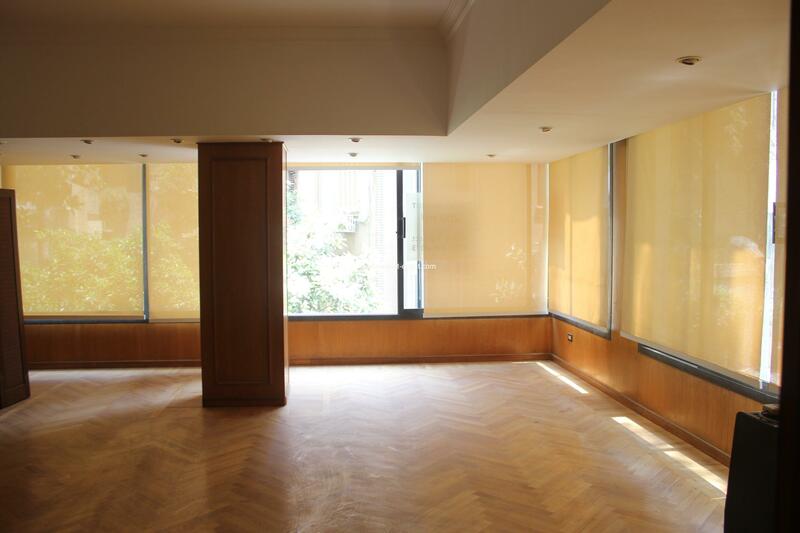 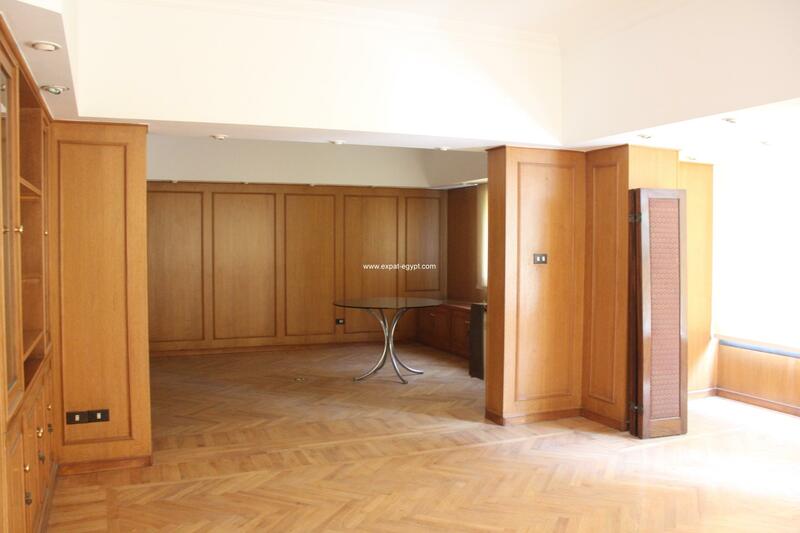 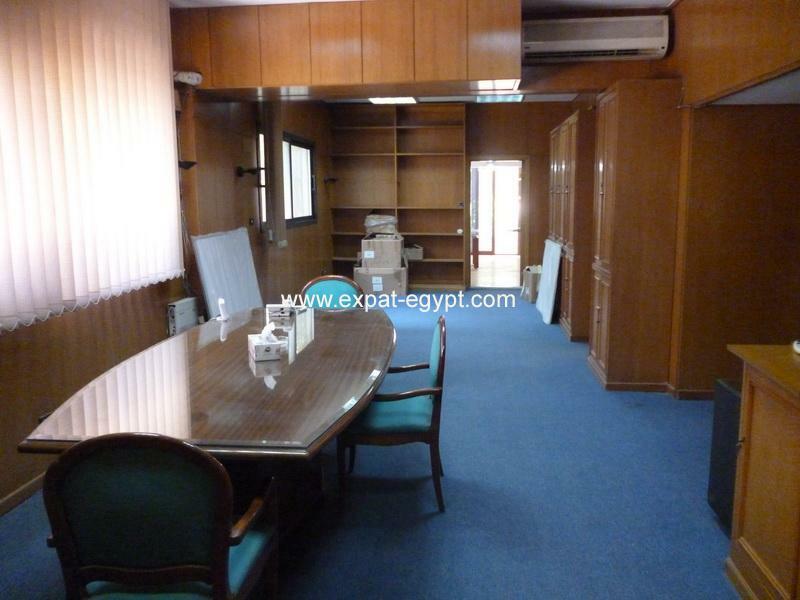 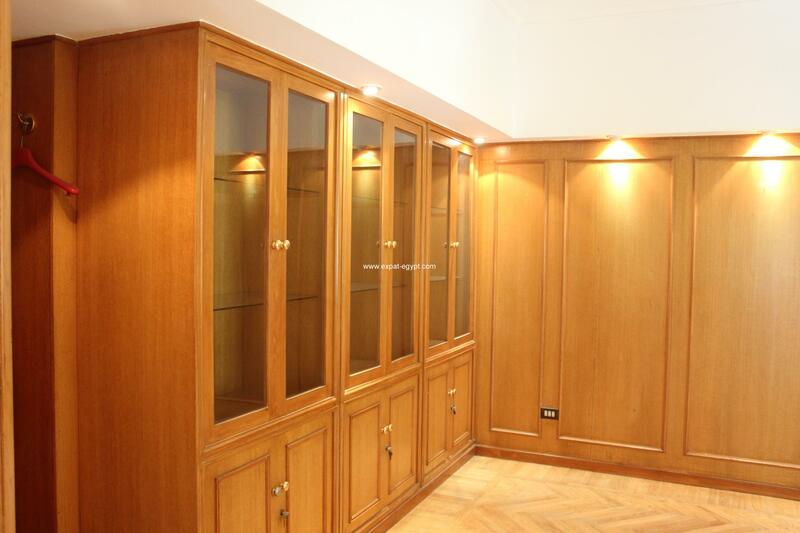 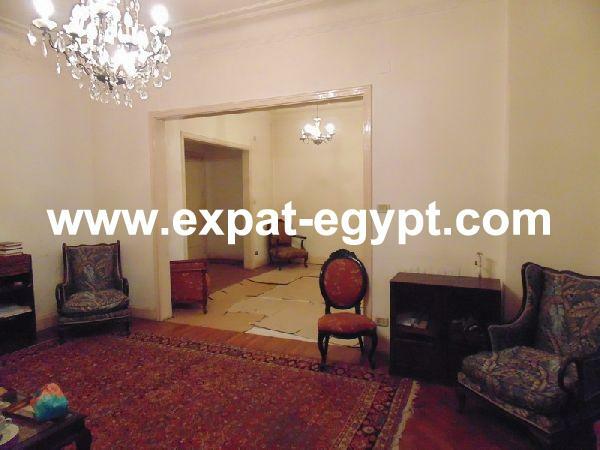 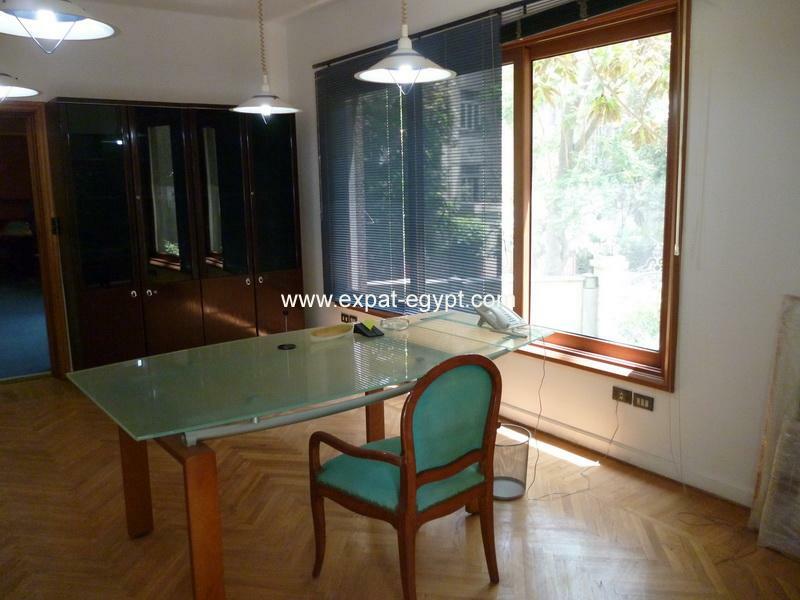 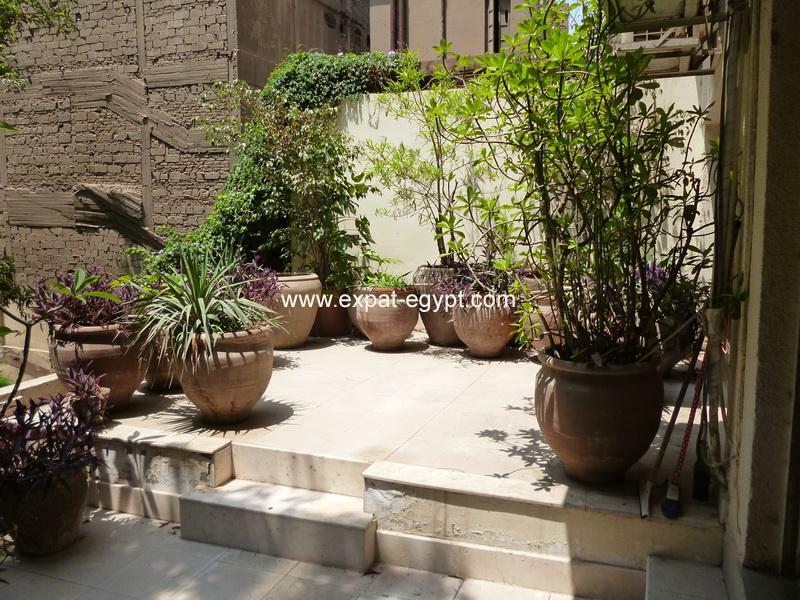 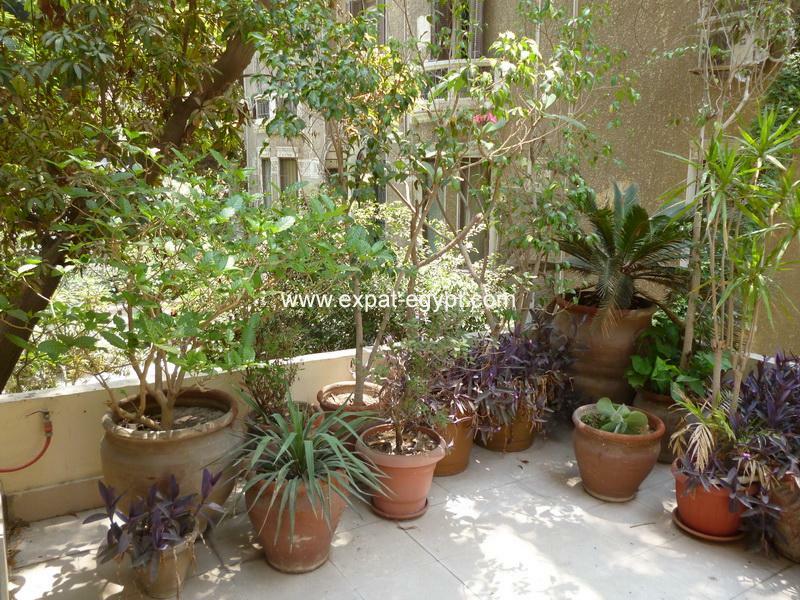 furnished office for rent in zamalek, turn key, completely refurbished. 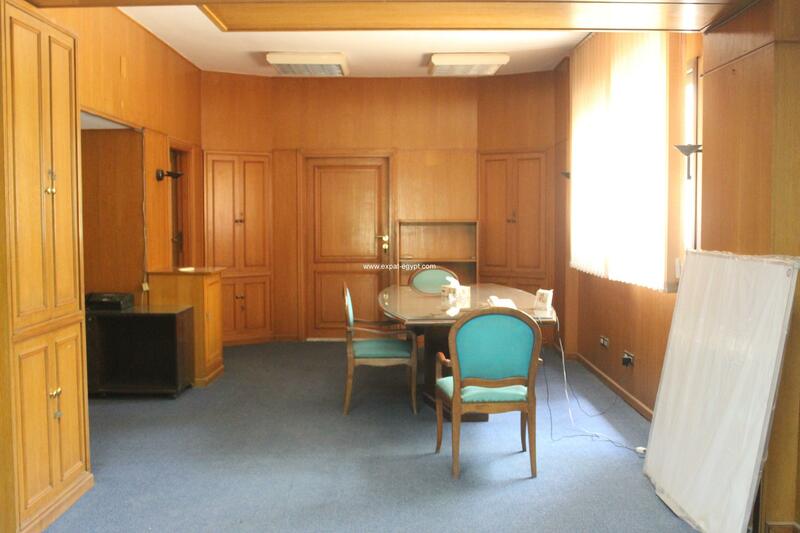 very well located in 1st. 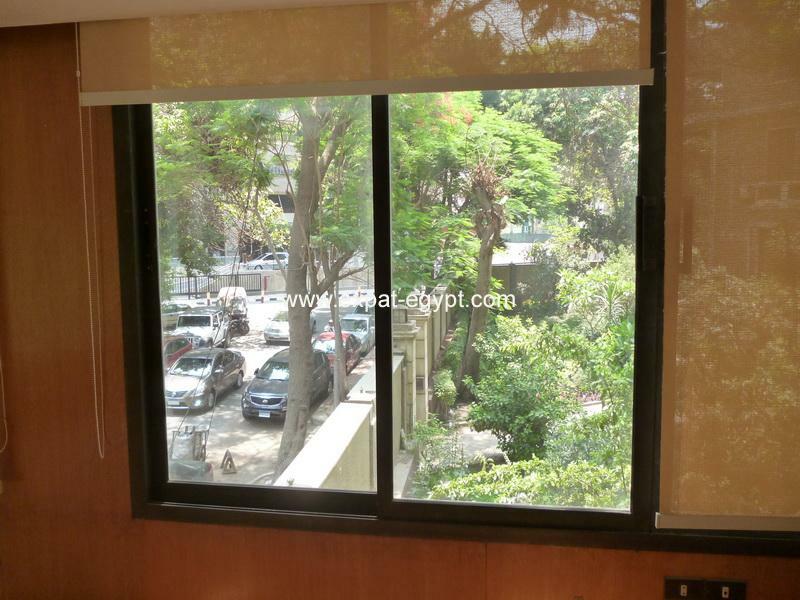 floor office space of 200 m2 with green open views and street view. 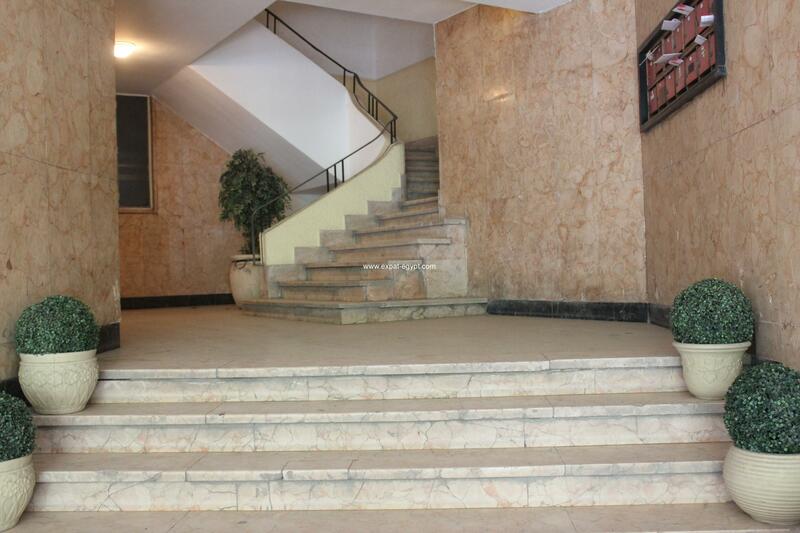 it has large reception,4 rooms, with external windows with natural light, 2 bathrooms, kitchen, 2 terraces. 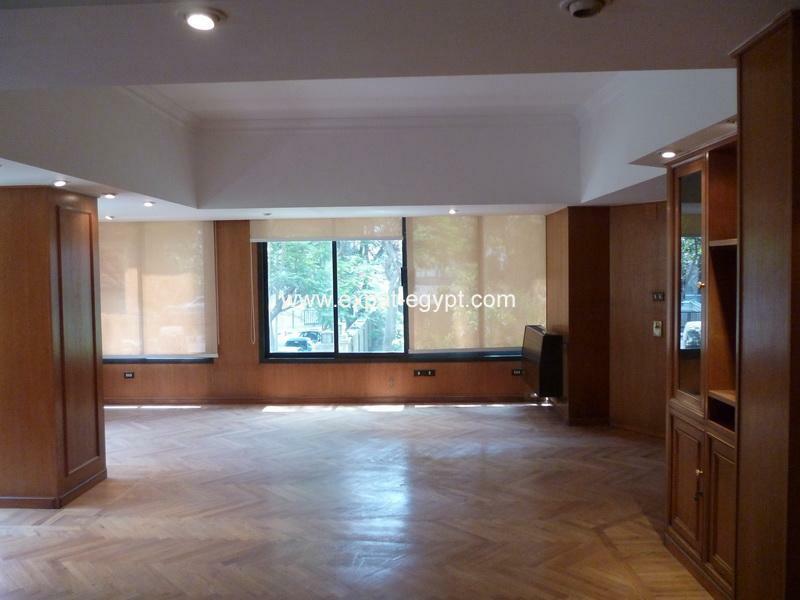 it is furnished ready to move in, walls with wood panels, parquet flooring in very good condition, wooden shelves and cabinets, tables, desk, lamps, all in perfect conditions. 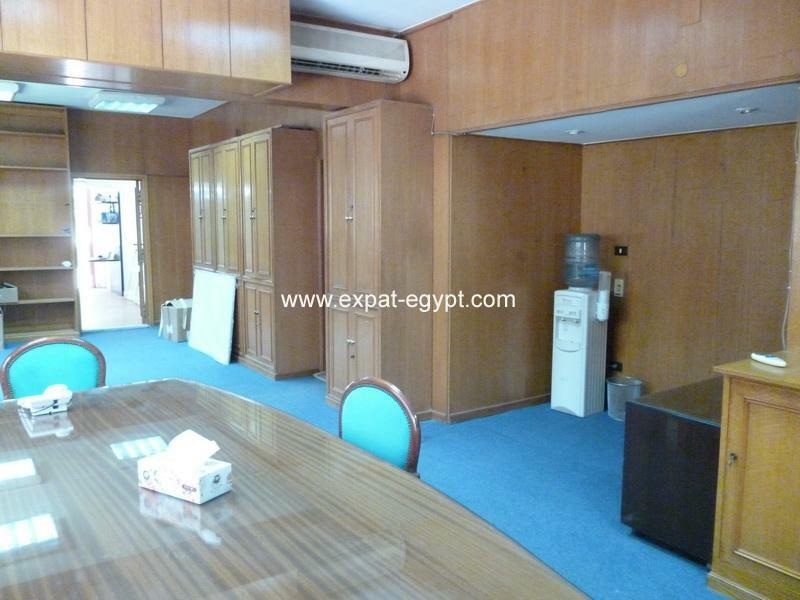 kitchen with appliances and service door.